Yes. I have written Namo Wei Tuo Pu Sa. In addition I also wrote in calligraphy the praise to him that I composed. 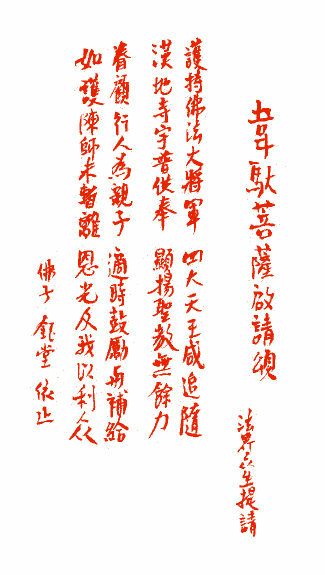 Both calligraphies and the original typed work of the praise are attached. Below is disciple Jui Khin's request for me to write Namo Wei Tuo Pu Sa, Pu Sa is Bodhisattva in Chinese, for his coming book. Translated in "A Golden Ring."